I confess. Like the 2.2 billion other people I did end up watching the Royal Wedding. 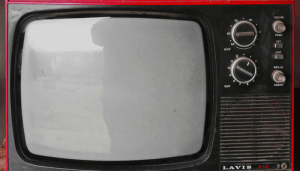 It was first thing in the morning before a great day of hiking, and for the first time in a long time, I had access to the way we used to watch content: on TV. You know, that way we used to get all of our content before we moved to the one channel universe of Netflix. “The Royals have modernized, but they have not become modern” is what one of the 10,000 commentators wrote. “Modernized” but not “modern”. This is a very good leadership principle. How do you as a leader evolve and grow but at the same time protect what the true essence of the organization needs to be? In the case of the Royal family, there is something deeply comforting in its 1000 history, pageantry, and elements that make up the healthy parts of the institution. When you think back to the challenges around the tragic death of Princess Diana one of the main comments was how truly disconnected they had become from the people. Over these past 20 years, through the incredible leadership of the Queen and her advisors, we can see how they have evolved their approaches and how the Royal Family has never been more relevant and respected. This brings me back to leadership. How connected are you and your team to your market and your clients? Blockbuster, ABC, Blackberry the taxi industry and most recently Tim Horton’s are examples of organizations not modernizing. Or in some cases they are examples of how they became so modern, they confused their core clients. As a leader in what ways have you modernized yet protected the core elements that make you healthy? This is one of the most important things you can think about. Your company, team and quite frankly your career depends on your ability to manage both elements. P.P.S. Wondering if you’re staying relevant to your markets? We can help your organization to lead, manage and thrive in change through our workshops and team development.